For this 1st installment of my new series "Oracular Awareness" I posed a question on several social media sites. "The difference between Acceptance and Giving Up is _____________." I'm blown away and moved by all the thoughtful responses I got in the comment threads on my social media pages. Thanks so much to all who responded -- I learned something from all of you! Despite how different the things people said were, they all rang true. It made me realize that it wasn't a question being asked and answered on just one level. Perhaps, this kind of question is one we view through the lens of our own attitudes, experiences and awareness. 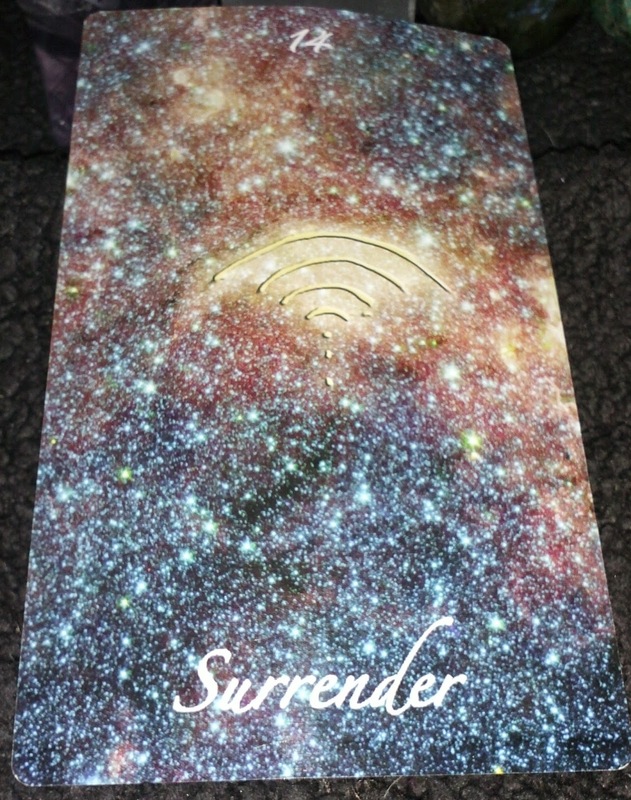 For some the answer was quite simple, some of the one word responses received were -- "Love", "Surrender" and "Attitude." For others, it was a little more complex. One of the commenters on Facebook, Dom, finished the sentence I posed with this: "Control issues, acceptance really comes from knowing you don't have control, giving up results from failed attempts at controlling, a result of one of mankind's greatest faults--hubris." As I was reading the comments, I looked over and a stack of oracle decks caught my eye. It occurred to me that they wanted to chime in on this query too. So, I drew a card from each of them. The first oracle to speak on the topic was "The Crystal Wisdom Oracle" by Judy Hall. 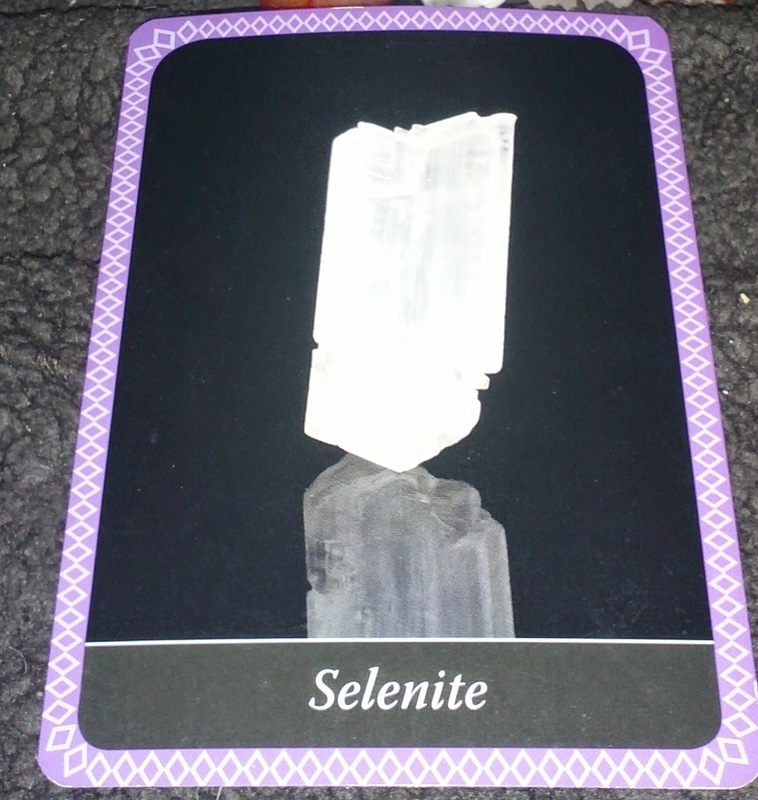 The synchronicity struck me when this card came up as Selenite was my "Crystal Guest" on "There's A Rock For That!" radio show last week! 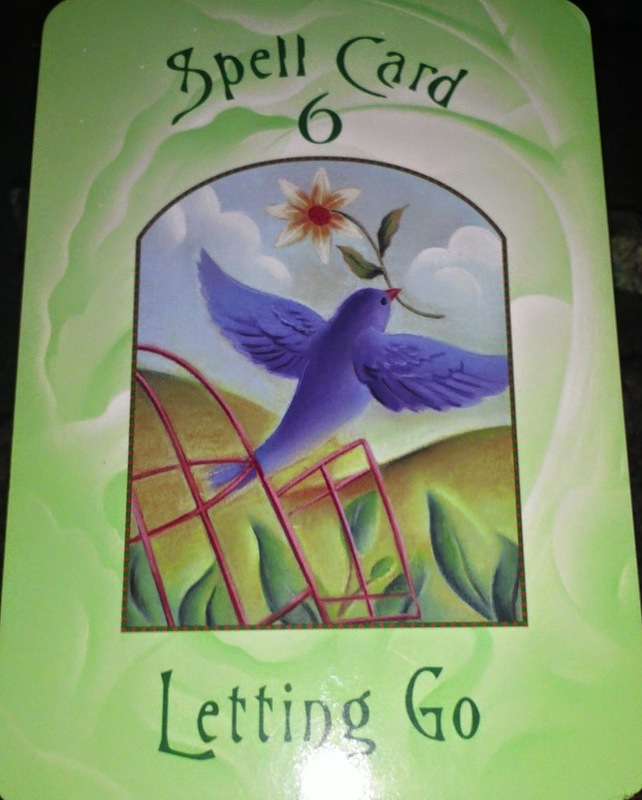 But, the answer this card gives speaks to our connection to the divine being the difference between acceptance and giving up. No matter how much certainty we feel we have, life is unpredictable. Selenite encourages us to connect with divine light so that we can better handle what comes our way. 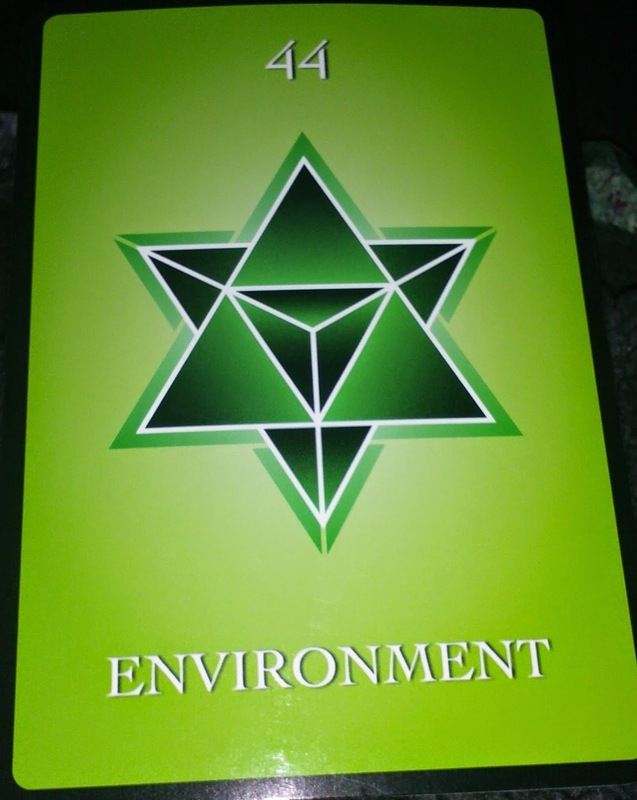 The next oracle to offer its wisdom was "The Living Light Cards" by Meg Blackburn Losey. It was in agreement with what a few commenters had said. Surrendering seems to be an important aspect of this. Next up was the "Magical Spell Cards" by Lucy Cavendish. Echoing the exact words used by several commenters. "Letting Go" feels like a gentler way of saying "surrender"...hmmm, but is it really... maybe that's another question I should pose! 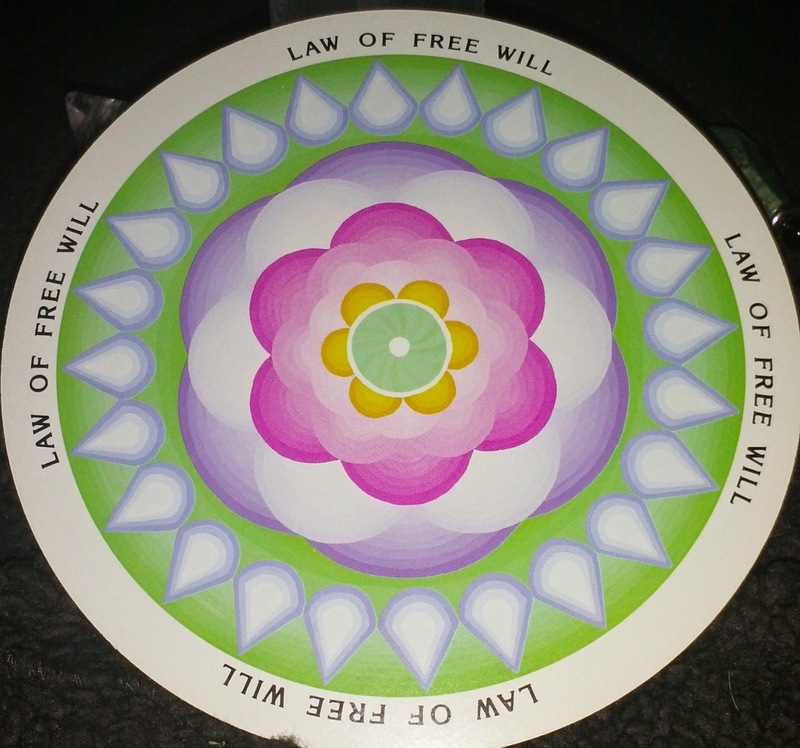 "The Cosmic Deck of Initiation" by Barbara M. DeLong was quick to point out the "Law of Free Will" is always at play -- it's a choice that we are responsible for - whether we are accepting or giving up. A point well-taken, and in agreement with many comments I received as well. Oddly enough, the final take on all this comes from the "Reiki Techniques Card Deck" by Bronwen and Frans Stiene which was the last deck in that stack. Generally, I don't really use it as an oracle, but I decided to just close my eyes and draw a card any way. 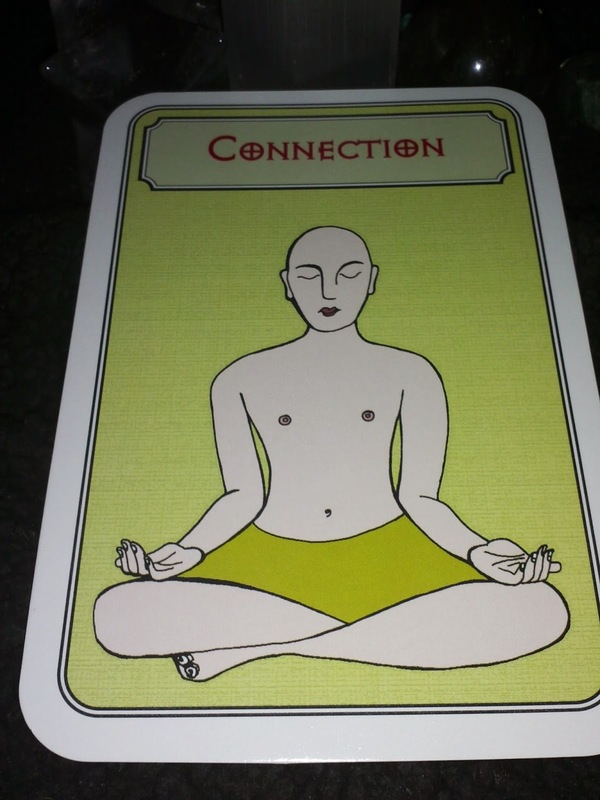 The card above represents a non-traditional technique in which you choose a positive affirmation that you wish to work with to develop your spiritual connection. So again, the divine seems to play a role in whether we accept or give up. In light of the question, I chose an excerpt of the famous "Serenity Prayer" and said, "I have the serenity to accept the things I can not change" as I followed the instructions for the technique. I have to say, it was quite a lovely experience. Come back next month for the next installment of "Oracular Awareness."